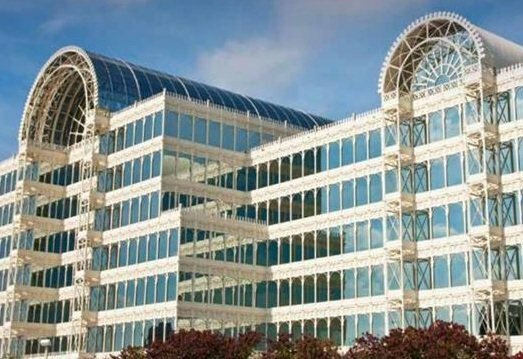 Infomart Data Centers’ iconic Dallas building, known as “the Informart”, has been sold to colocation giant Equinix in an $800 million deal. This leaves Infomart with three US facilities and adds a key interconnection hub to Equinix’ portfolio. Equinix already had four data centers in the building, which it is buying from from Infomart’s owner ASB Real Estate Investments, for $800 million in debt and cash - somewhat short of the $1 billion which ASB was looking for, according to Wall Street Journal reports in December. The deal is expected to close in mid-2018. Equinix has eight International Business Exchange (IBX) data centers in Dallas, four of which (DA1, DA2, DA3 and DA6) are in the Infomart, totalling around 3,500 cabinets. This makes Equinix the largest tenant in the Infomart, providing $20 million of the building’s $50 million turnover. Moving the building to Equinix ownership shifts the balance of Equinix’s revenue significantly towards owned assets, which is important to a company operating as a real estate investment trust (REIT). Around 50 Infomart operations staff and contractors will transfer to Equinix. The building has 1.6 million sq ft (17m sq m) of space, and links to 75 carriers with a toll-free meet me room. Although it already has a lot of data center space, there is room for expansion, with 11MW of power still available, and 40MW of additional capacity that could be added on available land next to the building, according to the Equinix release. “As Dallas becomes an increasingly strategic North American interconnection hub for businesses making the shift to digital, the acquisition of the Infomart will enable existing and new customers to scale their operations with Equinix,” said Karl Strohmeyer, president, Americas at Equinix. The Infomart was originally built to house a permanent trade show for information technology vendors, and the design was based on the Crystal Palace, a giant glass and steel structure which served a similar purpose in Victorian Britain. From 2000 onwards, the building’s owner, ASB Real Estate, developed the Infomart as a carrier hotel, and then merged Infomart with a wholesale data center company, Fortune Data Centers, to create a national data center operator. Although Infomart Data Centers will no longer own the Infomart in Dallas, it will still have three data centers, located in Portland, Silicon Valley and Ashburn. Infomart’s own site has not reported the sale of the Infomart yet, but its site noted this week that its tenant, cloud hoster Opus Interactive, added 90kW of capacity within Infomart’s Portland facility.